Brisas Restaurante – a favourite place for a cool dinner. This week has been hot and sticky, with high humidity that spikes just before the rain showers hit. We are moving slower and spending more time hiding in the shade, or floating in the pool. 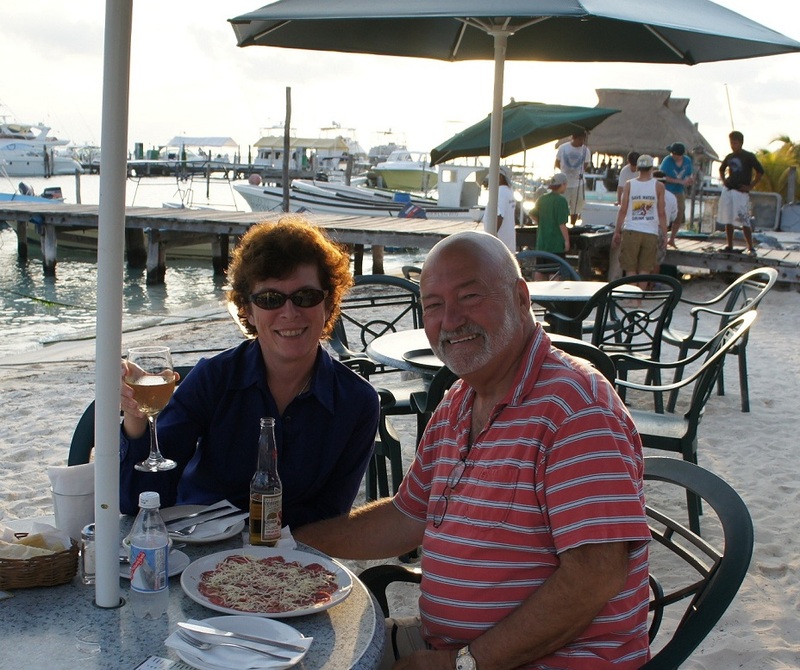 If we are eating out my main criteria is – is there a breeze at that location? 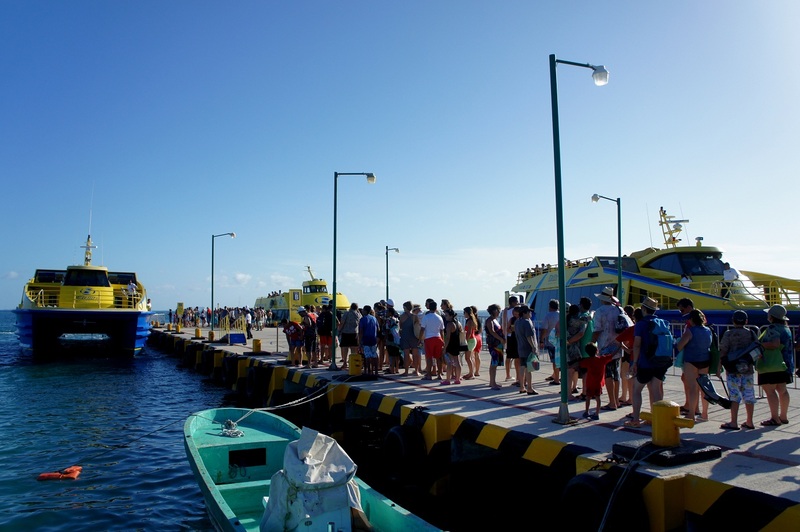 The various car and passenger ferries are still busy bringing tourists to the island. 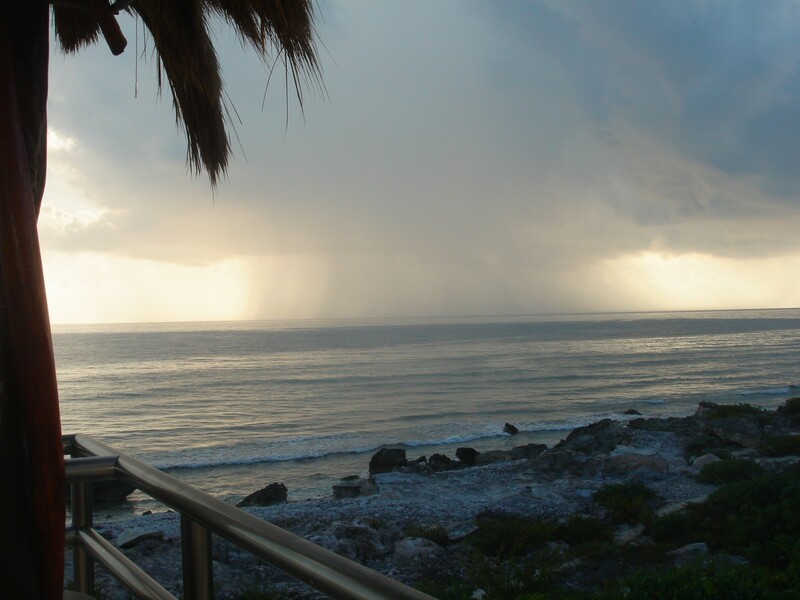 Travelers come to enjoy the beaches, deep sea fishing, the release of baby turtles and whale shark tours. 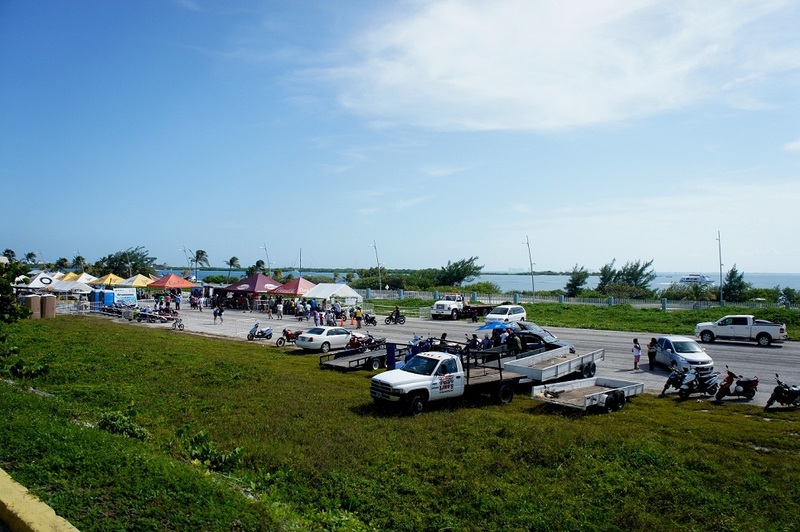 This week the municipality hosted drag races, held on the Navy airport runway. It was amusing to watch as the scheduled start time of Saturday morning became Saturday afternoon, then Sunday morning, and finally around noon on Sunday there were some races. Apparently the problem was that some of the contestants were not able to get across on the car ferry in time. T.I.M. This is Mexico. We are just a few days away from the first of September the slowest month of the year for tourism. A few friends that operate bars or restaurants are closing for the month to give everyone their annual holidays, and to do a general cleanup of their properties. Most students are back in school, and there aren’t any important national holidays until Independence Day on September 16th. Despite this being the slow season, the real estate agents have been doing a booming business selling building lots, and a broad spectrum of houses in various price ranges. This is also the time of year that we look around our house making note of various small repairs that need doing. And then we say; “Let’s wait until hurricane season is over.” In other words, we are putting it off until the weather cools down, but blaming our laziness on the possibility of storms undoing our repairs, or painting. The trouble with waiting too long is all the good repairmen will be busy as the returning North Americans arrive in October and November for the winter. Even houses that are boarded up for the summer need repairs. Things rust. Corrode. Stop working. Then it’s a scramble to get all the repairs done before the social season revs up. So at the moment we are lazing around and enjoying our slothfulness. Lawrie is blissfully floating in the pool, and I am about to join him. Ah, summer. I always enjoy reading your post. We live on the island part of the year and I always get a chuckle from your blog. Thanks for keeping us up on the happenings! Hi Sherry – I am guessing you own the pretty white casa north of us on Aeropuerto Road, near our friends Chuck and Marcy Watt?? Previous PostPrevious How do you make a grown-up grin like a little kid?